The Mac Pro is one of the most beautiful and powerful computers ever created, but it remains beyond the reach of many small developers due to a price tag that’s bigger than a car down payment. That could change this week when MacStadium brings the world’s first Mac Pro data center online, giving anyone the ability to rent server time on the high-performance Apple computers for just a few bucks a month. With the rise of iOS, Fortune 500 companies need more Macs to test their apps. Apple killed its Xserve server line in 2011, but when Cupertino unveiled the Mac Pro in 2013, McGraw immediately saw the potential in an army of Mac Pros. It’s a totally different approach than Facebook is taking with its new modular data center based on low-cost components. MacStadium‘s new data center located in Georgia will use Apple’s pricey, perfectly engineered machines to pack in more computing power per square inch than is possible with your typical server. To make the Mac Pro a viable data center machine that can compete with traditional rack units or blade server setups, McGraw’s team created a custom server rack that houses 160 Mac Pros. 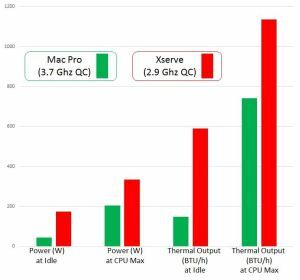 Thanks to the Mac Pro’s unified thermal core, which uses a central piece of extruded aluminum to control heat generated by the computer’s processors, Apple’s small, circular machine is far more efficient than the old Xserve boxes. It’s 400 percent more power-efficient, and 160 percent more cooling-efficient. Using these tiny powerhouses in a new type of data center is MacStadium’s effort to turn the Mac platform into a viable server option for the business world. One of the data center’s biggest challenges will be convincing small business to switch to the Mac platform. Macs are highly regarded as consumer machines, but enterprise has looked at the Mac as more of a toy. However, combing the impressive Mac Pro hardware, with VMware’s virtualization software, companies have access to a huge new resources that can finally run their entire service on the Mac platform, rather than going to Amazon for a Linux server, or Windows Azure. The Mac platform offers key advantages, Virtual Command CTO Chris Chapman told Cult of Mac. 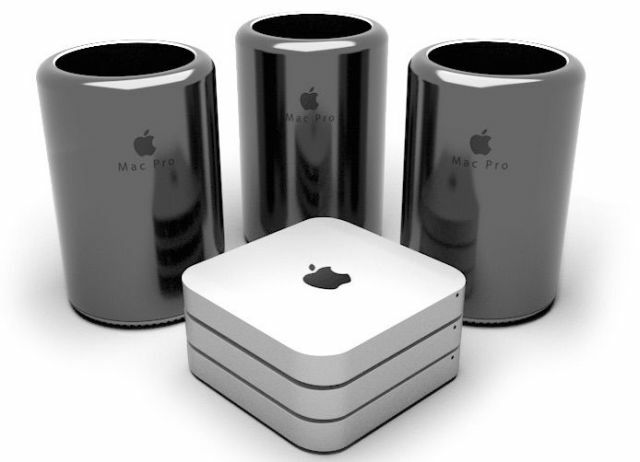 Aspiring iOS developers will be able to utilize the Mac Pro data center too. Not only is it cheaper to rent a CPU than drop $4,000 on a Mac Pro, but running software diagnostic tests can be performed 20 times faster on the Mac Pro. MacStadium still faces a long uphill battle with its Mac-centric approach. The company will have to compete against giants like CloudStack and Amazon, which just unveiled its Lambda cloud service last week. Those companies’ Linux boxes are often unbelievably cheap, but Chapman says that for developers running applications, handling databases or doing anything with scale, the Mac Pro data center actually could be cheaper. “For the complete package that Mac is, small businesses can get a lot out of it that they don’t know about — if they give it shot,” Chapman said.